Initially audio signal is imprinted on a surface of a vinyl record. 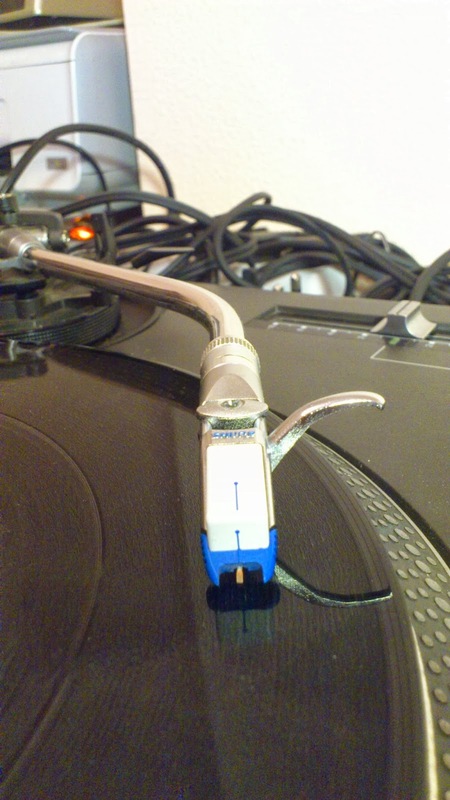 Turntable serves as an input transducer, e.g. the physical movement of a stylus is converted into an electrical audio signal. Turntable outputs phono signal, which is much weaker than line level, therefore it is connected to my mixer's phono RCA input. The signal is amplified up to line +10 level, then passes through an equalizer and filter blocks and gets mixed with other turntable's signals. I use unbalanced RCA record out to pass on mixer's audio signal to one of my sound interface's 1/4" inputs. 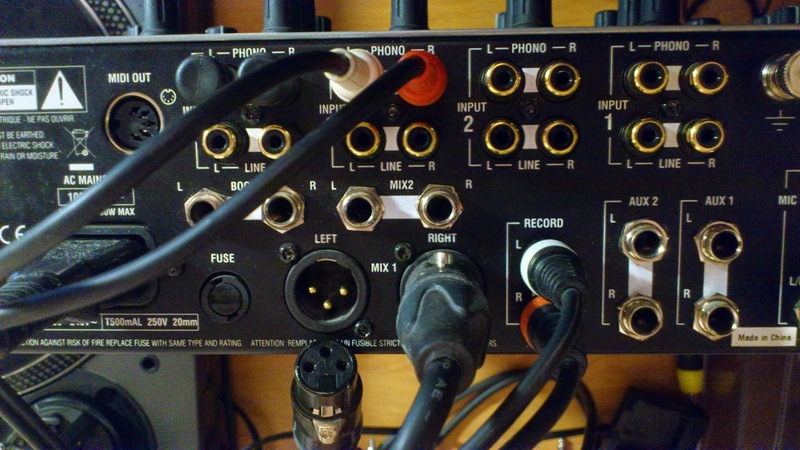 (Actually, while preparing this blog post I discovered, that my mixer's mix 2 output is impendance balanced and the sound interface supports balanced signal, so I might be better off using it with a balanced cable with 1/4" TRS connectors instead of the record out. On other hand, this cable is not that long). Next, sound interface performs analog to digital conversion (ADC) and passes binary data to my computer through the Firewire cable. I generally use WaveLab Essentials for recording and post processing of audio files. For monitoring and playback mixer's main balanced XLR output is used. It connects to an DriveRack PA sound processor. I must note, this is a digital piece of a gear, meaning that it's doing it's own ADC and DAC. Still its equalizer helps improve sound a great deal, as it is correcting effects introduced by waves bouncing off the walls and cancelling each other out at some frequencies, while adding up and becoming stronger at others (as mentioned before, my room is not that well suited for being used as a studio). Sound processor is connected to the monitors, again by balanced XLR cable. Monitors are active, e.g. they amplify the signal themselves before passing it to the speaker - an output transducer, which converts the electrical signal to physical audio waves. 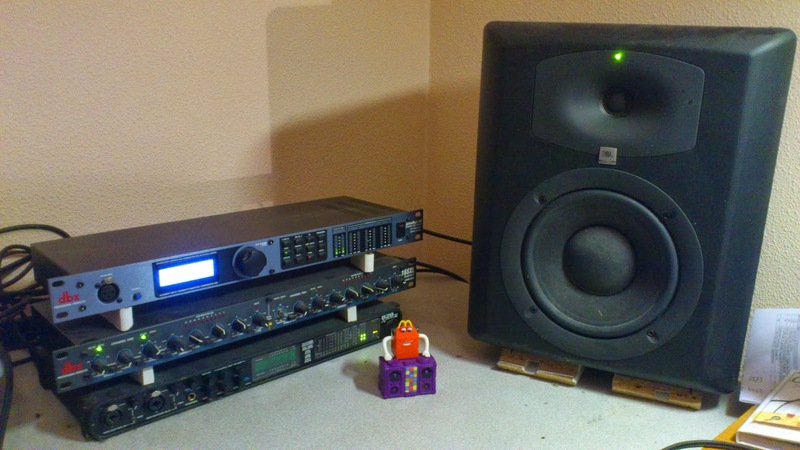 You can also see a DBX 166XL compressor on the picture, but in this context it is irrelevant. Audio interface (Firewire) -> WaveLab on computer (Firewire). 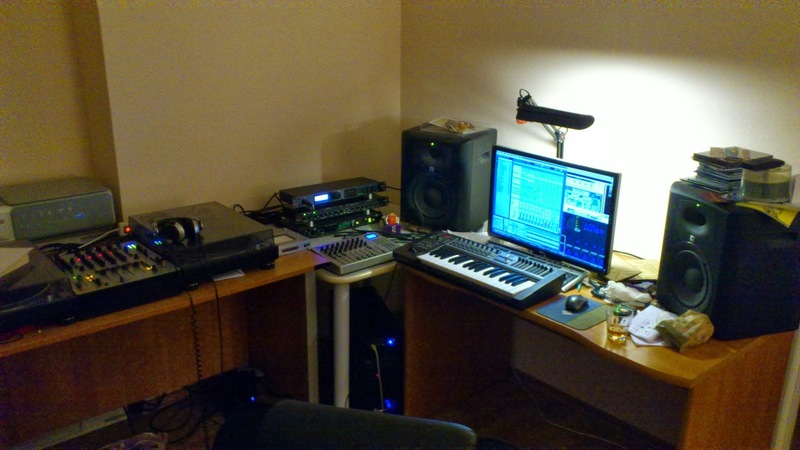 sound processor (XLR) -> JBL LSR6328P active monitors (XLR). It was a pleasure to prepare this post, as I actually found something new in the equipment I've been using for years and thought I knew perfectly.